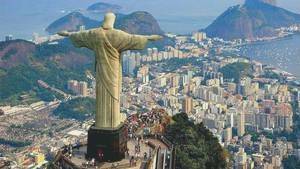 It is in the XVIth century that begins the history of the redeeming Christ of Rio. 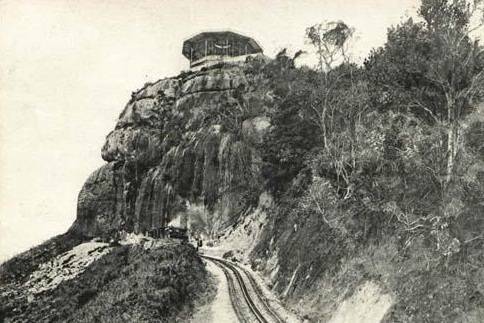 At that time the Portuguese, who dominated the Brazilian territory, gave the name of "pinnacle of temptation" to a strange mountain located near the Atlantic coast in Rio de Janeiro. This name is a reference found in the Bible. 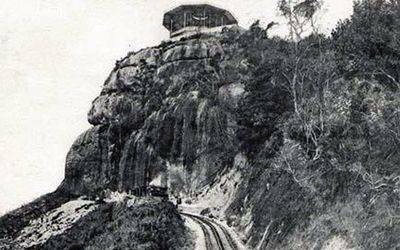 A century later this mountain will be renamed Corcovado, a name deriving from the word "Bosse" which was given to him by its general form similar to the back of a hunchback. Surrounded by a dense forest and with steep relief, this mountain was not accessible. It was not until 1824 that a path was opened to reach its summit, which was to be widened rapidly on the way. But the idea of the construction of a monument religion at its summit dates much later, in 1859. That year there arrived on the spot Father Pedro Maria Boss, a lazarist. He was overwhelmed by the beauty of the site and decided to meet the queen of Brazil Isabella to ask for the necessary funds for the construction of this monument. The meeting actually took place that year, but it was not followed up. The project was abandoned and the idea lost. But the Corcovado, now accessible, attracted people. A railroad was decided in the 1880s, built in the wake and inaugurated on October 9, 1884. Starting from Cosme Velho station, the line measured (and still measures, by the way) 3824m and climbs to the top of the Corcovado in a series of laces and twenty minutes. It was Emperor Peter II of Brazil himself who inaugurated it. Pierre II of Brazil will be seen a few years later at the inauguration of the Eiffel Tower. 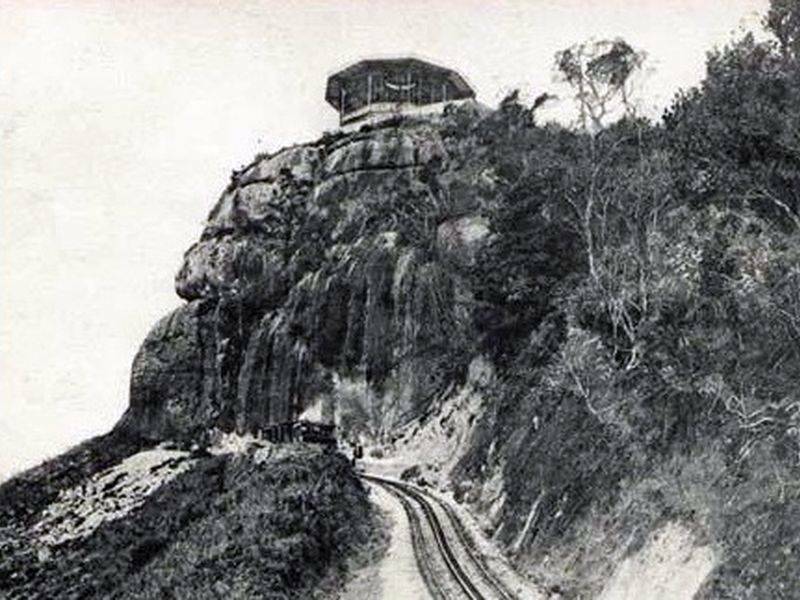 This railway was not only a technical challenge, it was also a symbolic challenge insofar as the Corcovado was nothing but a peak at the time, the railway had no purpose of tourism. Developing tourism at the end of the nineteenth century was truly an innovative idea, since the economic strength of a country was at that time rather oriented towards heavy industry or agriculture. A few years later, in 1922, Brazil was to celebrate its centenary. It must be known that at that time it was very common to celebrate the anniversaries of independence by building a statue, a monument, most of the time that have passed through time. For example, the Statue of Liberty in New York was offered to the United States by France for the centenary of its independence. Similarly, the Eiffel Tower in Paris was built for the Universal Exhibition of 1889, the year of the centenary of the independence of France. Brazil wanted to have its monument commemorating the centenary of independence. 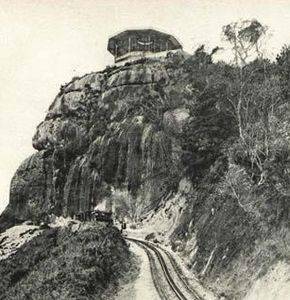 The previous year, in 1921, a project was decided, and Brazil being a religious country, he accepted the proposal of the Church to erect a bronze statue at the top of the Sugar Loaf. But this decision was discussed, it did not suit everyone, because even before the republic of Brazil was official the separation of the Church and the State was already established. It was therefore astonishing that Brazil, a secular country in essence, approves of a purely religious project, but it is simply the strength of the Church that it has achieved its ends. Two other sites were chosen: Corcovado and Santo Antonio. It was the Corcovado which was chosen because it was higher, quite simply. A call for competition is launched and in 1923 the winner is informed that he was chosen in September of this year. It is the project of the Brazilian engineer Heitor da Silva Costa, the latter being a personality of the time. 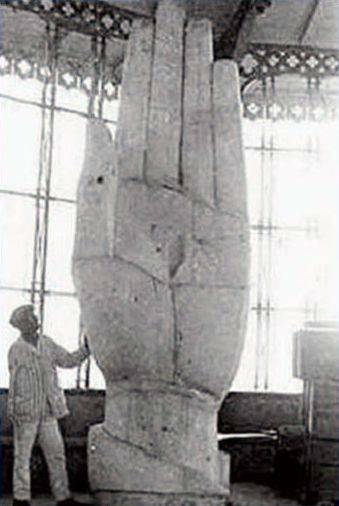 This project was that of a gigantic statue of Christ bearing a cross which he clasped against his body with the help of his hand, his other hand holding a celestial globe. 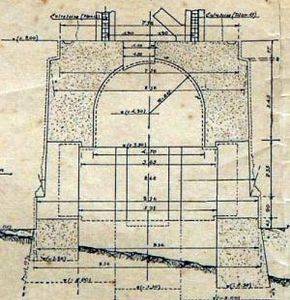 He made drawings and launched the project of construction, estimating cost, time, and especially method of construction. Unfortunately, the project never really started, both because of the funding that was struggling to arrive and the insoluble technical constraints. The first stone was laid down, but on principle. Funding was difficult to find, and was provided by a charitable collection made in the name of the Church to the parishioners (essentially), but this fund-raising struggled to progress. The Church had to play an important role in raising awareness among Catholics so that the money raised could correspond to the total amount of the project. It should be noted that the campaign was national, not international. Funding was thus obtained from public generosity. It was a bit forced by many organized events, including the "Week of the Monument", from September 2 to 9, 1923. This week served as a support for major national gatherings. cardinal Leme, the indefatigable promoter of the project, sent instructions to the vicars to address the widest possible population. It is necessary to appeal to all budgets and not content with the usually generous classes of our people. They had to solicit the contributors to make a donation of more than ten thousand reis. But by the end of the week only half of the money had been collected, so it was necessary to make a new campaign. The cost of construction was $ 250,000, but that is an approximation, we do not have the details of all the costs, whether they are purchases of materials or service, such as studies on the general shape, or even labor, necessarily quite consistent. 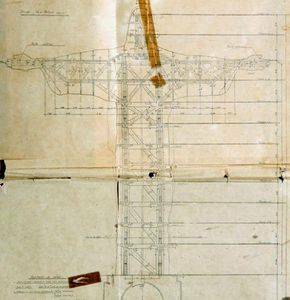 Some people have estimated the correspondence of this cost if Christ redeemer had been built these days: It is $ 3.2 million, which is quite low for a monument of this size. 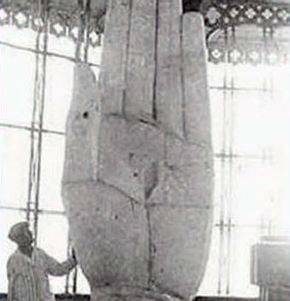 The work began on April 4, 1922, with the laying of the first stone, but it was only a symbolic launch, since the next two years were devoted to the improvement of the statue, the choice of structure and materials. Thus it was not until 1926 that the work began, but they did not go very quickly. Wooden models were built, of various sizes, to be able to work. 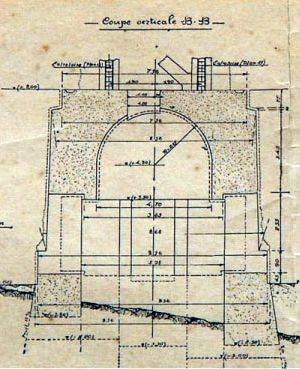 In 1928 there was an important event, the revision of part of the project. 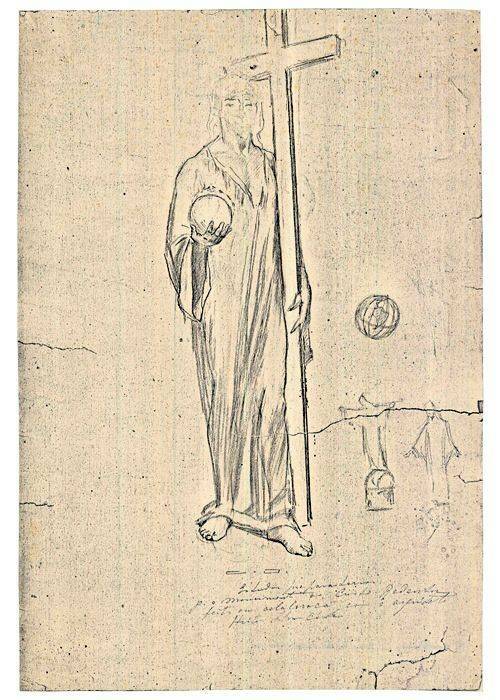 Indeed, some people found the shape of the statue unsuitable, even laughing at the cross and above all the celestial globe which made them nickname the work "Christ with the balloon" (This, a hundred years later and in the country of football, would not have lacked salt). Still, he had to reconsider his plan. He then began to study the Corcovado and especially the point of view from the city, from which point a telecommunications antenna erected by Westinghouse stood. He therefore chooses a new form, proposed by the artist Carlos Oswald: Christ himself would be the cross, his outstretched arms signifying the redemption of mankind at the crucifixion. But the new design has introduced new challenges. Da Silva Costa had already concluded that the structure would need to be enormous to be visible from the city center (4 km, anyway) It should also have been particularly strong to support the massive arms. Da Silva Costa therefore decided that reinforced concrete, "the material of the future" as he foresaw, would be the material to use for his statue. The problem was that this new material required special knowledge. So they went to Europe where he knew he could find them. 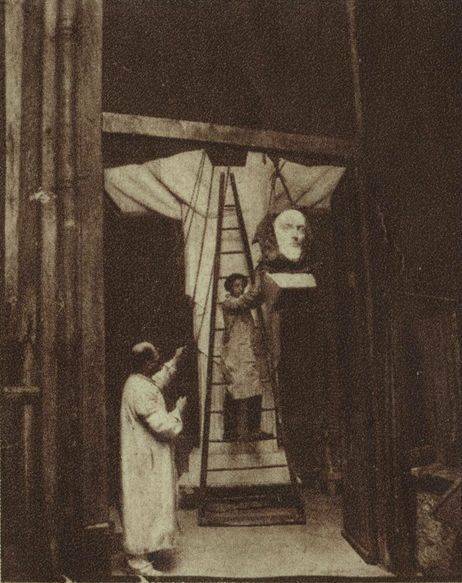 It is there that he meets Antoine Bourdelle, who had worked with Rodin and who was one of those approached to make a model a 4m high ladder from Oswald's drawings. But it did not end with him, and finally it was the French sculptor Paul Landowski, of Polish origin, who was chosen as responsible for the construction of the monument. 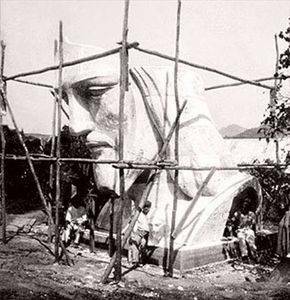 He asked Gheorghe Leonida, a Romanian sculptor, to take care of the face of Christ, a delicate operation, but otherwise the spots were simple: Silva Costa was the designer of the statue, Carlos Oswald the draftsman, Paul Landowski the sculptor, aided by Gheorghe Leonida. But there was still a problem to be solved: We still did not know how to make a concrete architecture so imposing, so there was a link in the chain. 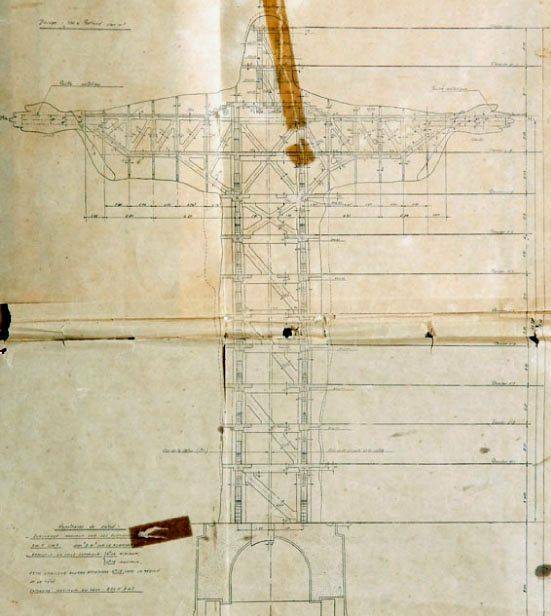 Silva Costa asked Albert Caquot, a French engineer, to take on the role of the designer of internal architecture. It is he who will make the concrete part, as well as all the calculations that go with it. Finally, a team of specialists was formed, we could move forward. 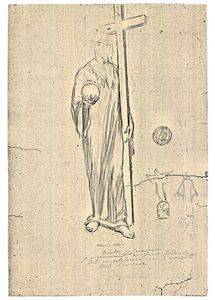 First of all, Paul Landowski modified the drawings of Oswald. He purified the head and hands in a modern style for the time, very clean. Then he made the clay head, in real size, then a hand. This work, made in Paris, was sent by boat to Rio. Received on site the job consisted of reproducing concrete models of clay, which took some time. 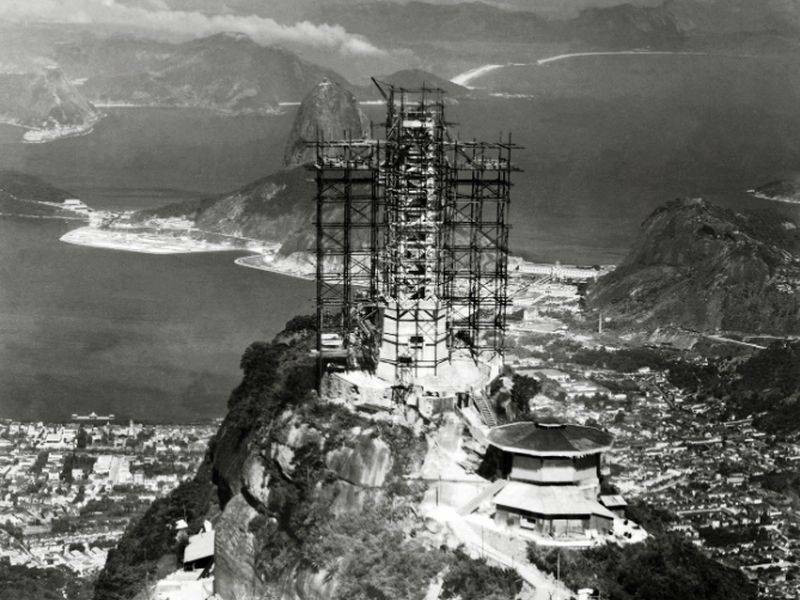 At the same time the summit of the Corcovado welcomed the base of the statue and a steel frame was already in place. But the choice of coating was still not final. The material of the envelope of the statue was discussed. Of the original bronze, the designer of the statue did not know where to go. This little phrase speaks volumes about the fact that he did not know how to finish his statue, with what material. The inspiration came to him in an arcade that had recently opened on the Champs-Elysees, where, after work, one evening he saw a fountain covered with a silver mosaic. "Seeing how the little tiles covered all the curved profiles of the fountain, I was soon taken by the idea of ​​using them," wrote Da Silva Costa. "Moving from idea to completion took less than 24 hours. The next morning I went to a ceramic workshop where I did the first samples." The choice was based on steatite, which has the characteristic of being very little subjected to temperature variations while remaining a soft rock. 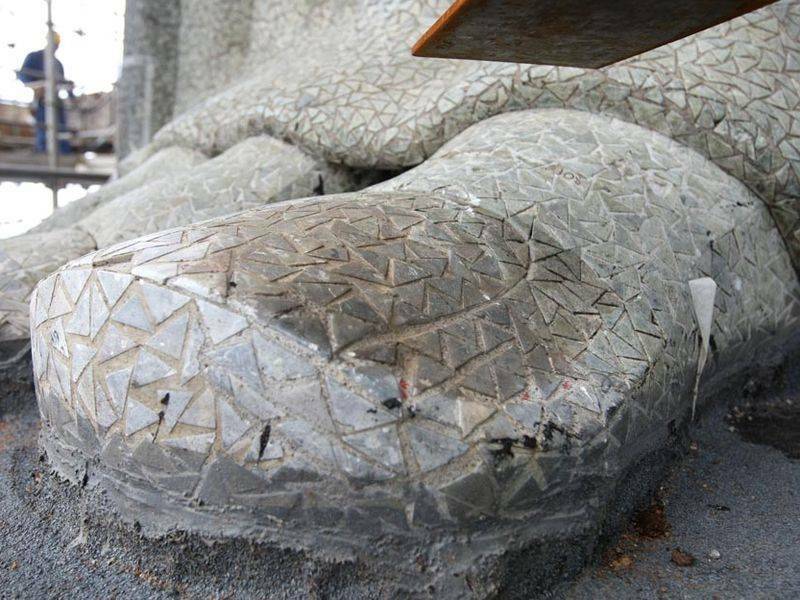 This stone was crushed into pieces which were polished before being applied in facing on all the parts of the statue, forming a gigantic mosaic. According to Heitor da Silva Costa, the designer, it was the first time that the technique of mosaic was applied to a monumental statue. We want to believe it. The choice of soapstone came in part because it had been previously used by the 18th century sculptor Aleijadinho, said the cripple, in the Brazilian state of Minas Gerais, north of Rio. After losing his fingers as a result of illness, Aleijadinho miraculously continued sculpting ornamented statues with a hammer and a chisel attached to what remained of his hands. 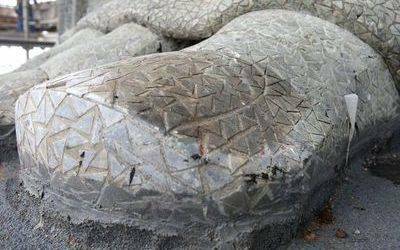 That these were still in good condition 120 years later, in the opinion of Heitor da Heitor da Silva Costa, testified to the durability of the stone. 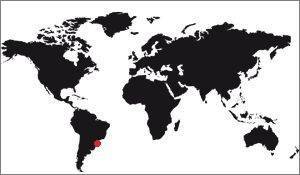 May this sacred image be the symbol of your place of life, of your protection, of your predilection, of your blessing which radiates over Brazil and the Brazilians. During the ceremony 500 priests officiated. 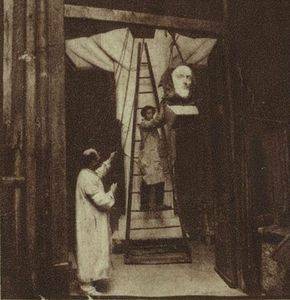 He was asked for the beatification of the small French Guy de Fontgalland, 11 years, died in 1925. Learn more about the inauguration of Christ the Redeemer. The first changes took place in the year following its inauguration in 1932. The lighting system had to be changed. It will be a second time in the year 2000. In 1980 the statue was renovated following the visit of Pope John Paul II on the spot. In 1990, another restoration took place. The site was reorganized in 2003 with, among other things, the installation of an automatic staircase, to make it more accessible. A panoramic lift is also provided. To make this tourist site compatible with ecological requirements, no mechanical device uses lubricant. This important constraint has been respected with difficulty, but we are indeed there in the proof that with will the technique follows. Be aware that the escalators and lifts are made in France, and they avoid having to climb a staircase of 220 steps. Finally in 2010 other works were carried out on the statue. They took place under the supervision of Marcia Braga, architect. Its main difficulty at that time was to find stones identical to those used 85 years earlier. Indeed, in the process of replacing 60,000 small tiles that covered it, it had to reject 80% of those supplied by the quarry where it was supposed to source. In this respect, it should be noted that the previous renovation has slightly modified the tint of the statue since the stone quarry has now been exhausted. It was therefore necessary to find another career whose stone had a similarity, but the previous works had not necessarily been done with as much rigor as what is currently done, and so the use of somewhat different stones gave different colors depending on where they were applied. To deal with this problem, it was envisaged to replace at once the 6 million stone forming the mosaic, which would cause the color change of the whole of the statue. It is a more acceptable solution than that of changing only a small percentage of the stones, because in this case the statue would have taken different shades depending on the parts replaced. But it was not accepted, and the renovation was done on the basis of stone totally identical to the original stones, thus requiring a greater quantity of material than was originally intended. This 2010 renovation cost $ 3.5 million. 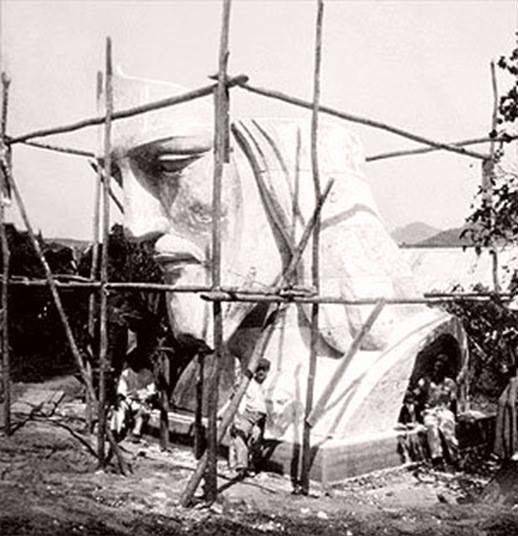 It was financed by Vale (Companhia Vale do Rio Doce), a large Brazil mining company committed to protecting and maintaining the famous statue and Corcovado site until 2015. But part of the funding is also arrived from the people with the sale of golden brooches representing Christ the Redeemer sold at the price of 7 reals (4,3 dollars) in the 252 parishes of the archbishopric of Rio. The next renovation is known, it will take place in 2020, 10 years later. Since no decision has yet been taken on the amount of stone that will have to be replaced, it is already known that the next stones will be in a shade of green somewhat deeper than those currently used, spokesman of the National Institute of Historical and Artistic Heritage of Brazil. You should know that the statue is regularly touched by lightning, which almost abysses it every time. It is therefore repaired, systematically, which gives it the air of being in work during great periods. 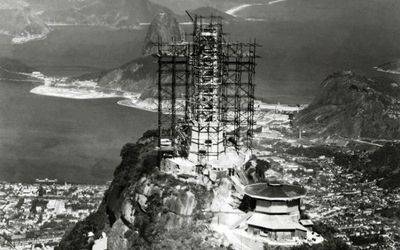 But this sense of forced evangelization which provoked the statue of Christ the Redeemer quickly disappeared in the face of the beauty of the work and the universal significance of the message it conveys. Learn more about the controversies.